With exclusive HP LaserJet Instant-on Technology, your print jobs can be finished before many other printers have even started printing. See how an HP LaserJet printer featuring Instant-on Technology can save you time, increase efficiency, and conserve energy. Instant-on technology instantly turns your printer on when you need it, meaning less wait-time between print jobs. Whether you work for yourself or a small business, idle time spent waiting by the printer adds up. It can impede the momentum of work while costing you money. With Instant-on Technology, your printer will not only shut down when you’re not using it, but it will instantly turn on and start printing when you do, which means less wait-time between print jobs. Plus, you won’t have to coordinate staff to shut off your office’s printers at the end of the day. The faster your printer prints, the faster it powers off, saving electricity costs. The faster your machine prints, the faster it powers off and stops using electricity. 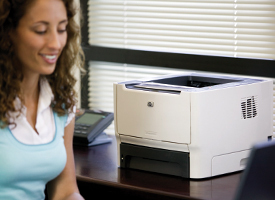 The HP LaserJet Pro 300 Color MFP M375nw offers a variety of capabilities to meet every office need. 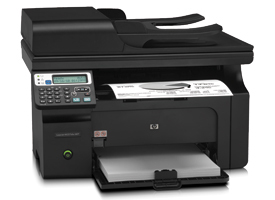 In addition to Instant-on Technology, HP LaserJet multifunction printers, like the HP LaserJet Pro 300 Color MFP M375nw, offer a wide variety of capabilities for every office need. 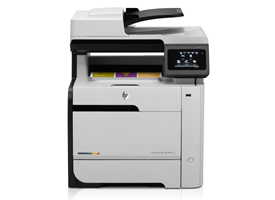 Visit the HP LaserJet Color MFP buying guide to find the one that’s right for you. When it’s time to replace or upgrade your equipment, explore HP ENERGY STAR® qualified products. Discover more easy ways to save money on printing. Find home office printing tips and ideas, including ways to create your own marketing materials, increase productivity, and much more. 1 Compared with products that use traditional fusing. 2 Exact speed varies depending on system configuration, software program, document complexity. 4 The tons of CO2 avoided is based on power plant emissions that otherwise would occur to generate the electricity saved: cars removed is based on annual emissions from cars burning gasoline.